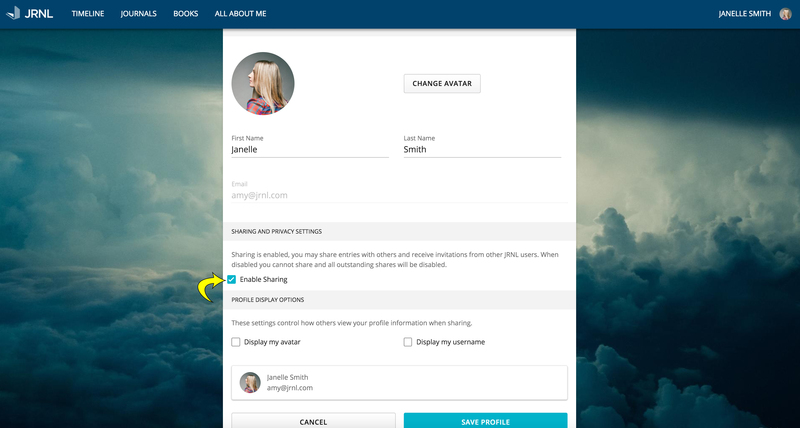 The first step for sharing is to make sure sharing is enabled on your account. To do this, click on your name in the upper right hand corner. This will open the settings screen. From here, click on your avatar to access your profile. 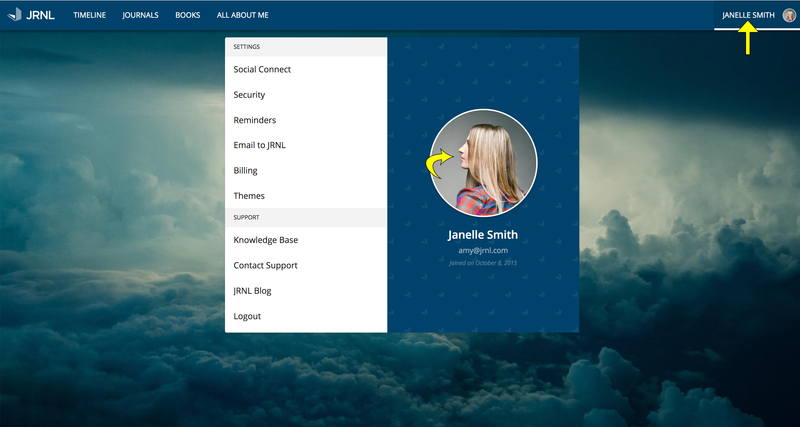 Clicking your avatar will open the profile screen. From here, you want to make sure "Enable sharing" is toggled on. 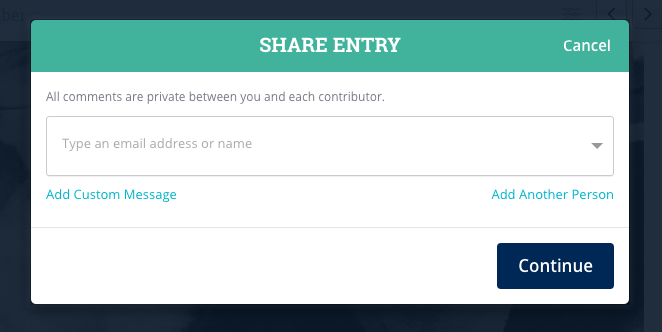 Users can share entries with individuals by using our "1 on 1" sharing. Click the share icon at the bottom of any already saved entry that you'd like to share. 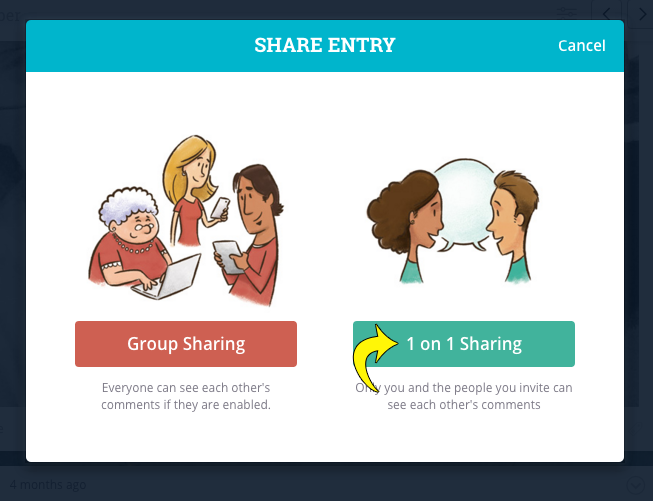 Clicking on the icon will bring up a screen with two options, "Group" or "1 on 1" sharing. To share with individuals, you'll want to click on "1 on 1". Once you click on "1 on 1 sharing", you'll be prompted to add an email address for the person you would like to share with. You can share with more than one individual, and the conversations between each of you will remain private between the two of you. To add more than one individual to a share, click "Add Another Person". You can also add a custom message that will be sent to the individual(s) you are sharing with. *Note, if you are sending to more than one individual, the custom message will go to all of them. To send unique messages to each individual, you will want to share with them in different sessions. Once you have included the individual(s) you want to share with, and any custom message, if you desire, you will see the following screen. Click "Share Now" to complete the sharing process.